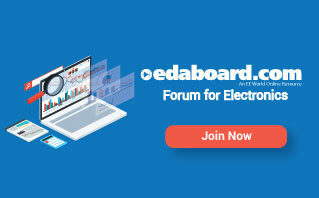 The new Xpedition printed circuit board (PCB) design platform focuses on multi-dimensional verification. Mentor tools enable engineers to integrate a broad range of easy-to-use verification tools into a PCB design platform within a singular authoring environment to identify problems at the schematic or layout phases. This new Xpedition platform for nonspecialist PCB engineers delivers accurate concurrent design analysis and verification, and comprehensive tool integration, helping achieve substantial time and cost savings while delivering higher-quality products. The Xpedition verification platform is designed for non-specialist PCB designers to enable quick and intuitive simulation and analysis functions. Launched within the designer’s authoring tool, integrated verification technologies provide automatic model creation, concurrent simulation, cross-probing from results, and error reviews within a single environment. The Xpedition platform hosts a range of robust technologies: schematic analysis, signal integrity (SI) and power integrity (PI) analysis, electrical rule checking (ERC), thermal simulation, vibration analysis, design-for-fab (DFF), assembly (DFA) and test (DFT) manufacturability testing. These integrated technologies, applied within a single authoring environment familiar to the designer or design team, provide early virtual design prototypes. Schematic design verification: A new, fully-automated and powerful schematic integrity tool replaces manual visual schematic inspection, eliminating re-spins early in the design by as much as 70%. Design-for-test analysis: Identifies test point requirements that are automatically passed from schematic design to layout as constraints to improve testability coverage. This feature creates test and inspection outputs for machines in process preparation with early diagnostics, thereby lowering the overall cost of testing. Design-for-manufacturability (DFM) analysis: Provides comprehensive DFM analysis covering fabrication, assembly, test, flex/rigid-flex, substrate and panel validation early and concurrently during PCB design, without leaving the layout in the new Xpedition integration environment. Electrical performance sign-off: Automatic electrical rule checking (ERC) quickly identifies critical signal integrity, power integrity and EMI/EMC issues concurrently with PCB layout, potentially accelerating design reviews from days to just minutes. The Xpedition verification platform is available today, and the suite of Mentor tools supports most non-Mentor design flows. For more information, visit the website: www.mentor.com/pcb/xpedition.